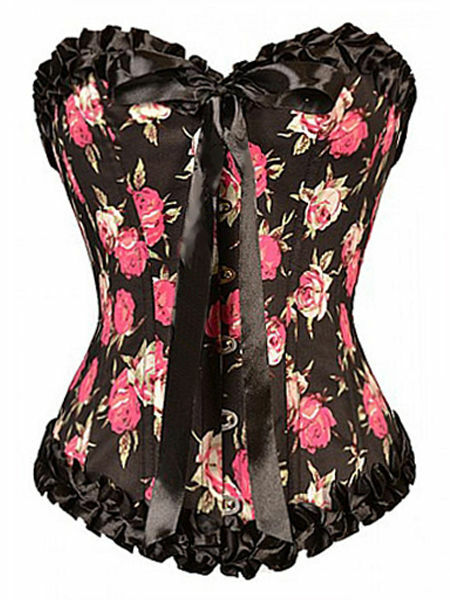 A very pretty boned corset made from lined cotton with a dark pink roses design. The front has a flat steel boned busk fastening edged and the hems and neckline are edged with pleated black satin. The back has adjustable eyelet and satin ribbon corset lacing with a modesty panel. Bust: 36" Waist: 30" Length: 15"
Bust: 38" Waist: 32" Length: 16"